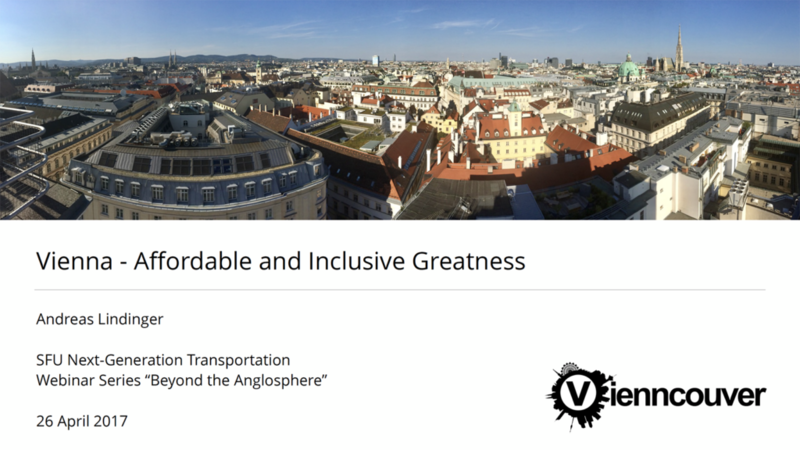 I had the pleasure to present a webinar on sustainable transportation, affordable housing and liveable city-making in Vienna as part of Simon Fraser University’s “Beyond the Anglosphere” Webinar Series on international best practices in next-generation transportation and urban planning. “You would think that a city where barely over a quarter of all trips are made by car would be happy to rest on its laurels. Not so in Vienna, which wants to drop car mode share to 15% or less of all trips. Vienna now has more public transit-pass holders than registered cars—and a transit pass that costs just €1 per day.